While Dominica is a gorgeous Caribbean island worth visiting, there’s no need to live there to become a citizen. Back in 2016, I spent some time enjoying the Mediterranean from the beaches of Valencia, Spain. While there, I made a rather important decision: after months of working toward Dominica citizenship by investment, I was no longer going to become a Dominican citizen. At that point in my life, I was running all around the world, and trying to pull all the paperwork together when I was going a hundred different directions just wasn’t working out. When my life settled down a bit, I ultimately decided to go through the process to become a citizen of Saint Lucia. While I never obtained Dominica citizenship, I have some intimate experience with the country’s economic citizenship program. In fact, just the other day, I was going through my files and I found an oath that I had been sent to sign for Dominica. While I never signed it, I can still say that Dominica remains one of the best value options in the Caribbean. It is tied for first place as the cheapest economic citizenship that you can obtain in the Caribbean and anywhere in the world, really. Dominica is a great option for several different kinds of people. If you have bad visa-free travel on your current passport, for example, a Dominica passport will grant you access to over 120 countries. 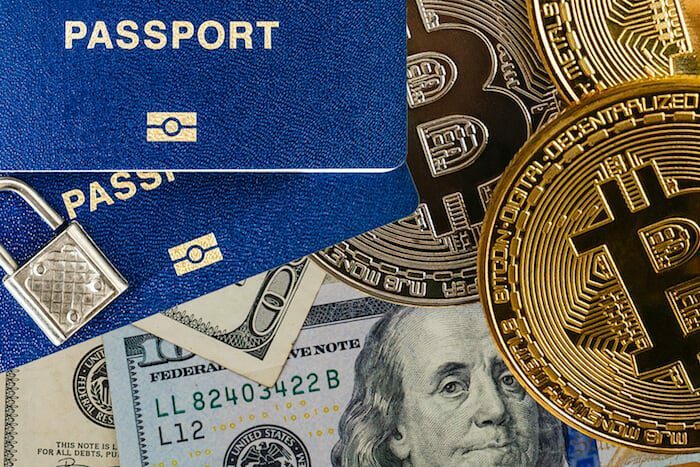 And, because of its low price and fast processing time, it is also a good option for those who are looking for a fast second passport as an insurance policy or a means to quickly renounce US citizenship. Are Economic Citizenship Programs Worth the Cost? Before we get too far ahead of ourselves and jump into all the details of how to get a Dominica citizenship by investment, let’s take a look at the country of Dominica itself. 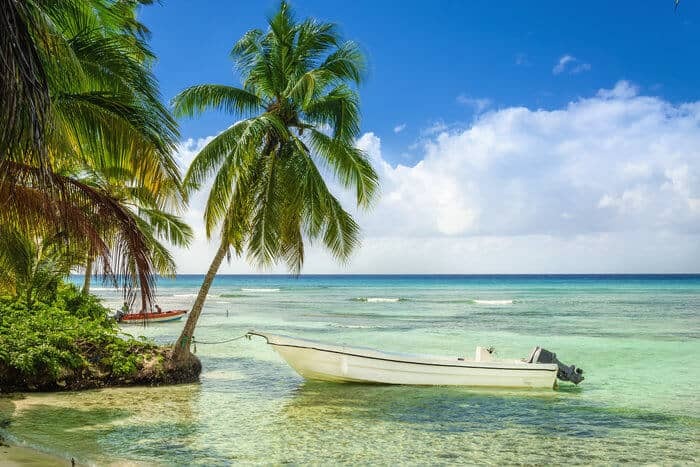 Known as the “Nature Island of the Caribbean”, Dominica (not to be confused with the Dominican Republic) is arguably one of the most beautiful islands in the Caribbean. Located between the French overseas territories of Guadeloupe and Martinique, the island has numerous rivers and waterfalls, green mountains and beautiful ocean views (despite a limited number of beaches). With rainforests full of rare plants, animals and birds, and opportunities to snorkel and dive to shipwrecks and underwater hot springs, it’s no wonder that Dominica is a growing ecotourism destination. Dominica also has the benefit of being an autonomous country. The UK granted independence to Dominica in 1978 and the country now has a parliamentary democracy with a President and Prime Minister and a judiciary system based on English common law. The entire country is about the size of Singapore and there are fewer than 75,000 people who actually reside on the island. Most residents are of African descent, although there’s also a small indigenous population (the last in the Caribbean) and a growing number of white and Chinese inhabitants. English is the official language, but the French dialect, Creole, is also widely spoken. To top it all off, Dominica is considered one of the happiest places in the world to live, with a great island lifestyle in a safe, friendly and beautiful country. With all these attractions, you may be contemplating the possibility of spending the rest of your life in Dominica. However, you do not have to live on this island country to become a citizen there and enjoy the many benefits that come with having a second passport. For the right price, you can become a citizen of Dominica. Dominica is widely known as one of the fastest countries in the world to get a second citizenship due to its long-running economic citizenship program. It is one of the oldest citizenship by investment (CBI) programs in existence, second only to St. Kitts and Nevis. Dominica has offered economic citizenship to investors willing to donate $100,000 to the country since 1993. The program is enshrined in Section 101 of the Dominica Constitution and Sections 8 and 20 of the Citizenship Act, giving greater credibility and security to the program. While the average timeline to process Dominica citizenship is about six months, it can take anywhere from 3-9 months for most nationalities to obtain full citizenship. There are unique cases where it may take longer. The Citizenship Act also waives any residency requirements for qualified investors, making it possible for interested individuals to obtain Dominican citizenship without ever residing in the country. Unlike other economic citizenship programs in the Caribbean, Dominica does not exclude applicants from any particular country. At one point they did, but they now have a more efficient due diligence process that has allowed them to remove the list of excluded countries. While the application process is confidential, the names of those who receive economic citizenship are published in the country’s official Gazette to prevent any chance of corruption. All donations go into the Economic Diversification Fund and are utilized for private and public development endeavors in the country. Public endeavors include building schools, renovating hospitals, building a national sports stadium, and promoting the offshore sector. Private sector projects include tourism, information technology, and agriculture. In 2015, roughly $1.5 million from the economic citizenship program was used to promote small business development, and over double that amount was used for the National Employment Program. In all, it looks like Dominica is a business-minded, business-friendly country ready to welcome those who can contribute to the country’s development. Back in 2015, Dominica received visa-free access to the Schengen area and become one of only two real passports for sale at the time that had access to the EU. With that added value, Dominica decided to raise their price for the first time from $100,000 for a single applicant to $175,000, effective August 2016. However, several other Caribbean countries decided to join the economic citizenship club circa 2016 and Dominica eventually walked back their price to the original $100,000 before they even reached August of 2016. Fast forward to 2018 and the increased competition combined with a devastating 2017 hurricane season has created a CBI price war in the Caribbean. 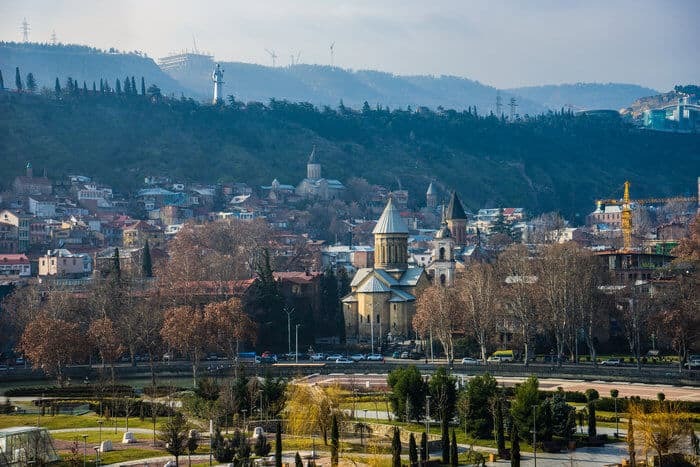 With five programs now available in the region, governments decided to lower their prices for both the donation and real estate options to attract investors to their shores. In 2017, St. Lucia lowered their price to match Dominica’s, offering a bit better travel (although not that much different) and promising that the process would be easier. And, thanks to being a newer program, they capitalized on the fact that they didn’t have any of the issues other Caribbean islands had experienced with media coverage and reputation. Personally, I doubt that prices will go below the $100,000 floor. Two are currently at this price point, one is at $125,000 for a couple or small family, and the other two are priced slightly higher. So, while the price wars have not changed the original price of the Dominica program, they have kept it at the lower price point and will likely keep it there for a time. Do not take that as a justification to sit around and wait, though; things change too quickly in this industry to expect things to stay the same for too long. How Do You Get a Dominica Passport? Dominica is a cut and dry example of a citizenship by investment passport: you make a donation or invest in real estate and they give you a passport. It’s as simple as that. The donation route is the oldest and simplest option available. While most people are familiar with the $100,000 price tag, there are actually a few variations on the price depending on if you are applying alone or with a spouse and whether or not you are bringing children into the equation. Additional Dependents (4+): $200,000 non-refundable contribution and $25,000 for each additional dependent. It doesn’t get more complicated than that. You pay the due diligence and fees, make the donation, and you’re in. You’re done. The more complicated and expensive option is to invest in real estate. Similar to other citizenship by investment programs in the Caribbean, Dominica offers economic citizenship to those willing to purchase approved real estate in the country. Dominica has a low entry point of USD $200,000. Two or more applicants can apply together with a single purchase, as long as each applicant contributes the minimum $200,000 toward the investment. The government allows for the real estate option because the money goes directly toward investment in the country; however, because that money essentially goes to developers, the government charges an additional fee on top of everything else to get some money out of the process as well. You will also have to pay the other due diligence and legal fees required under the donation route. The main benefit of the real estate option is that you can eventually resell the property and essentially recoup the investment. To do so, you must hold the property for at least three years. If you choose to resell to another CBI applicant, however, you will have to wait a total of five years from the original purchase date. Whether or not you sell your property to someone later, it is very likely that you are going to lose some money on the investment. And, depending on the developer and when you can actually purchase the property, it may take you a little bit longer to get your passport. The bottom line is that there are a few more logistical issues to be aware of with this route. Until recently, there was only one real estate option in Dominica. Now, however, you have half a dozen choices with several connections to big names like Hilton and Marriot. One of the concerns that people talk about with the CBI real estate investments in the Caribbean, in general, is that properties aren’t always that enticing. For one, it can be expensive to get the necessary building materials to these islands which means that what you get may be a bit underwhelming compared to what you would normally expect for the same price elsewhere. Secondly, you are restricted to purchasing government-approved real estate. You can’t buy just any real estate that you find online, you have to buy from one of the approved developers. This can mean that you won’t get as much real estate as you would on the open market. Nonetheless, you’re ostensibly buying something of value that you can resell a few years down the road. Some of these investments will allow full ownership, but others are timeshares or undivided shares, which can greatly impact resale value and your use of the property. And, while $200,000 is the minimum, the developers will have options above the $200,000 price. These are all important details to keep in mind as we review the six real estate options available in Dominica. Cabrits Resort Kempinski is still under development, but you can invest now and qualify for Dominica citizenship by investment. 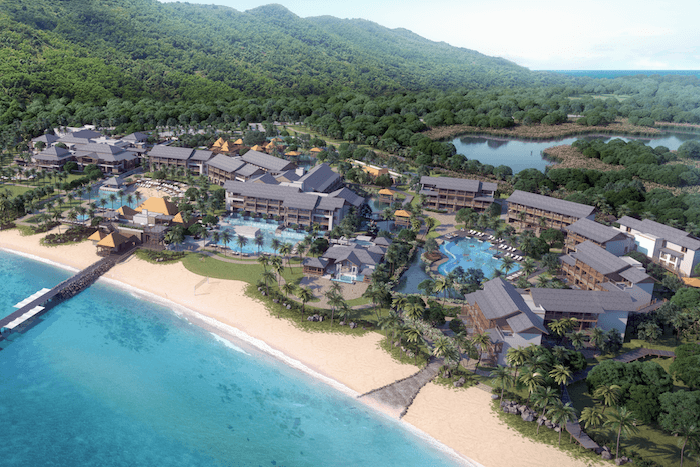 Range Developments is building Cabrits Resort Kempinski on the white sand beaches of Douglas Bay on the north-west end of Dominica. The hideaway resort is surrounded by Cabrits National Park and builds on Dominica’s renowned eco-tourism initiative. The Kempinski is part of Europe’s oldest luxury hotel group and a minimum investment of $220,000 into the project will automatically enroll you in the highest tier of the Kempinski loyalty program, apart from granting you Dominica citizenship. Anichi Resort & Spa is a member of Marriot’s Autograph Collection. The resort is located on 12 acres of one of the few beaches on the island, the picturesque Picard Beach in Portsmouth. There are a total of 128 rooms with private dip pools, pool lounges, swim-up bars, specialty restaurants, a ballroom, and a spa. Redeemable Preferred Shares: For $220,000 you will receive a certificate of ownership. Freehold Suites: You can purchase a Calypso Suite for $300,000 or a Swim-up Suite for $320,000. With either purchase, you will receive a title deed to the property. Whichever option you choose, the resort will manage your property and place it in a rotation system. While you will not be available to use your property for residential living, you will have the right to stay at the resort for two weeks each year. Bois Cotlette is one of the oldest surviving estates on Dominica, dating back to the early French settlements of the 1720s. The estate is hidden in a valley and maintains the plantation architecture of its early days. Liquidity Option: Preferred share owner – a guaranteed full return on your investment in the event of a death or if you have owned the property for more than five years. Preppers Option: This option will allow you to use your property to wait out short to medium duration life disturbances. In the case of a natural disaster such as an earthquake, flood, tsunami, tornado, etc. you can stay anywhere from 1-3 months at your property. In the event of an economic or political collapse, you can stay for 3-6 months while you plan to return to normal society. Safe Haven Option: This option allows you to spend up to nine months at Bois Cotlette if a defined event – such as economic or political turmoil or a prolonged natural disaster – occurs in your region of the world. While Jungle Bay Villas will not open until 2019, you can invest in the development now and qualify for Dominica citizenship. Jungle Bay Villas is currently under construction and on schedule to open in February of 2019. 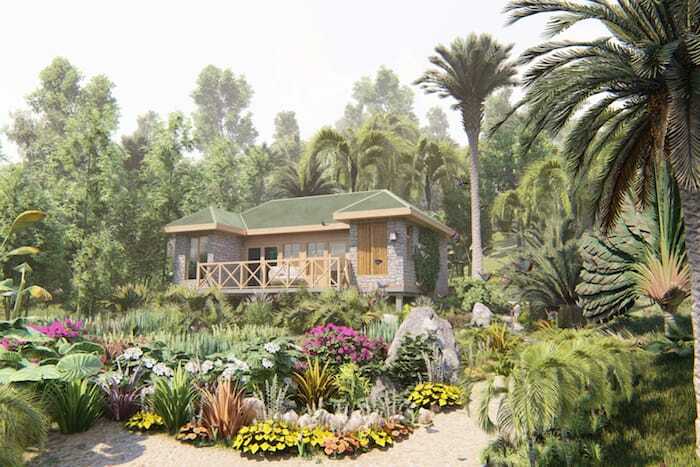 While construction is not complete, once your application is approved, you will receive an individually deeded title to a 400 sq ft villa and 1200 sq ft of land, qualifying you for Dominica citizenship. Luxury Sea View Villas start at $255,000, a price that includes all closing costs, transfer taxes, deed registration, and legal fees. Your villa will serve as hotel accommodation and will be fully maintained by hotel management. Rental proceeds from the resort will be held in a dedicated villa rental account available to owners for review. All after-expense rental income will be split 50/50 between Jungle Bay and the villa owners. Additionally, as a villa owner, you will personally be able to use your villa for one week every year. 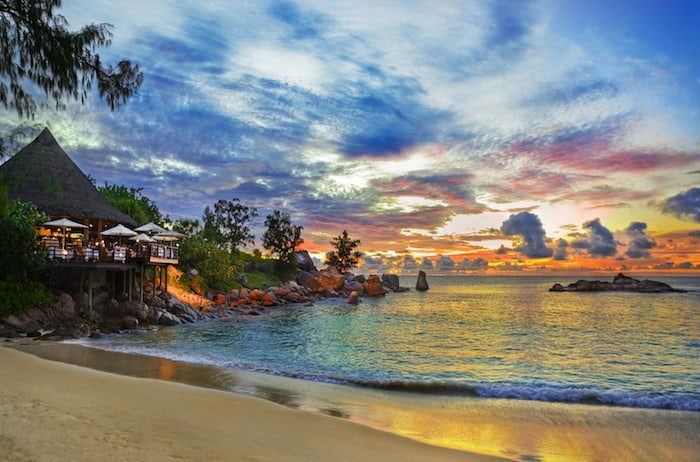 Secret Bay is an eco-friendly resort that was recently voted the World’s Best Boutique Hotel and has received numerous awards over the years. As the resort prepares to reopen later this year following destruction from September 2017’s Hurricane Maria, the Residences at Secret Bay will forge ahead. While the Residence plans are still being finalized, the sustainable, luxury villas will be available for whole ownership and are eligible for the CBI program for a limited time. Ownership gives you a sustainable luxury vacation home accompanied by 5-star service including security, housekeeping, cooking services, vehicle use, high-speed internet, and free use of all adventure equipment. You will also have access to three swimmable beaches, sea caves, a river, as well as a yoga pavilion, spa, and restaurant. Tranquility Beach Resort is part of the Curio Collection by Hilton. They offer fully-serviced one and two bedroom condominium suites, as well as studio suites and one, two, and three bedroom villas. Amenities and services include a spa, wellness center, gym, restaurant, swimming pool, gift shop, and more. The only investment option available at Tranquility Beach is to purchase undivided shares within the overall project. While this will give you unrestricted claim to the entire property, you will not have exclusive claim to any single part of the resort. If you are a crypto investor, it may be better to simply make the one-time $100,000 donation and invest the rest of your money elsewhere. Unlike other islands that offer citizenship by investment, your only two options in Dominica are to make a donation or purchase real estate. You cannot make investments in companies or buy government bonds – just donation or real estate. In that sense, Dominica is a very back to basics, generic program. Nothing extravagant. They keep it simple, which is one reason they can maintain their spot as the world’s cheapest economic citizenship. But that simplicity does beg the question: Which option is better? If you want to go to the Caribbean, I generally advise people to just make the donation. 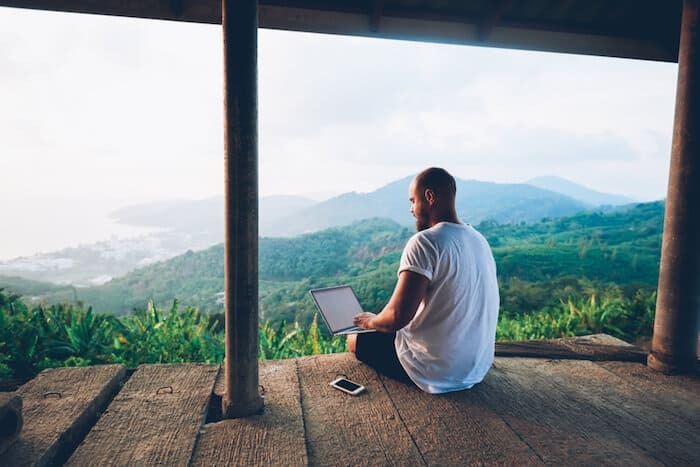 As was evident with the six real estate investment options, none of them allow you to live in Dominica for a substantial amount of time, and doing so would create tax problems for you anyway. As an investment, there are very limited circumstances in which it would make sense to take the real estate option over the donation. An individual who runs a cash flow business, for instance, may be looking to park a few hundred thousand dollars somewhere. By investing in CBI real estate, they could make a small profit over the next five years while getting what is essentially a free second passport out of the deal. But this only makes sense if you don’t really need that money in the meantime. For anyone whose every dollar has a potential opportunity cost – crypto investors, Amazon FBA sellers, e-commerce folks, business people who have a quick turnover, etc. – the $100,000 difference between the two options could go toward much more profitable investments. Cryptocurrency investors, for example, should consider the path of lowest cost because the opportunity cost of that $100,000 difference over five years can be enormous. In that case, the $100,000 donation is the best option, even though you are essentially giving that money away. In summary, if you’re looking for the lowest cost route, just make the donation. If you have cash sitting around, then start looking at some of the alternative programs, but I still wouldn’t suggest investing in Caribbean real estate. There are other requirements that each applicant should keep in mind as well when applying for citizenship by investment in Dominica. First, all investors must be over 18 years old and have no criminal record. Beyond filling out all the prescribed forms and providing other documentation (which can be found here) you will also need to enlist the help of a licensed local promoting agent. As such, you should factor agent processing fees into your expenses as well. Dominica patterned this particular part of their program on the UK, US, and Canada, whose programs also go through private agents. According to Dominican officials, private agents know their customers and do their own due diligence, creating an extra filter so that an agent’s bad clients won’t get through and apply to the government program. How exactly does the application process work and how long does it take? The process is extremely streamlined and usually takes somewhere between 3-9 months. Dominican law stipulates a process time of at least two months, but the time varies from case to case depending on vetting procedures and the individual under consideration. STEP 1 – Gather Documentation: You will need to work with your chosen agent to prepare all documents (in English) that will be submitted to Dominica’s Citizenship by Investment Unit (CBIU). This includes all forms, supporting documents, a medical examination and — if you are purchasing property — a sales and purchase agreement to reserve your selected real estate. At this point, the authorized agent will most likely conduct background checks and take other due diligence measures. STEP 2 – Submit Application (and potential interview): Once your agent has determined that everything is in line, your application will be submitted for review. Though an interview is currently not mandatory, it is requested in some cases. The interview is normally conducted in Dominica, but it can be conducted outside the country for an extra fee. The interview is conducted in English, although government-approved translators are available. STEP 3 – Wait: During this time, the government will conduct their own due diligence to vet all the information you have provided in your application. At the end of this period, you will be notified whether your application has been accepted, delayed for further processing, or rejected. STEP 4 – Make Investment: Once you have been notified by letter from the CBIU that your application was accepted, you can make your investment in the government fund or complete the payment on your selected real estate property. The government will not transfer or use the funds you deposit in the citizenship account until naturalization certificates have been issued to you and your family. STEP 5 – Obtain your Passport: Once the CBIU receives proof of payment on your investment, they will issue your certificate of registration (or naturalization), which you can then use to apply for your Dominica passport. While this process is extremely streamlined, it does require a lot of paperwork. For that reason alone, it can be helpful to base yourself from one location while going through this process. If you’re nomadic and you are from the US, just go back and settle down for a few months. Everything you deliver with your application has to be less than 90 days old, which means that there is a lot of coordination required on your part to pull everything together within the set timeframe. That was my greatest frustration with Dominica citizenship by investment and what ultimately lead to my decision to choose a different program. It is also important to note that citizenship by investment is not the only way to become a citizen of Dominica. For example, as long as you maintain your Dominica citizenship, you can then pass on your second nationality to future generations. The second is through descent one generation back. If one of your parents was a Dominica citizen, you can apply for Dominica citizenship by descent. This extends to the children of economic citizens as well. Finally, it is also possible to become a citizen of Dominica via naturalization. Residents who have legally lived in Dominica for seven years can become naturalized citizens. Similarly, residents married to Dominicans may become naturalized citizens after five years of living in the country. While you may enjoy visiting the beautiful island of Dominica as a new citizen, don’t plan on spending too much time there without becoming subject to Dominica taxes. One of the things that people often promote – and this is one of the reasons I am so opposed to a lot of the promotion that goes on out there in the citizenship by investment industry – is that Dominica is tax-free. They will tell you that there is no tax in Dominica on your worldwide income. All these companies market Dominica as if it’s tax-free, but that’s only because they assume that no one is going to live there. The truth is that Dominica is a residential tax-based country, which is the second worse system after citizenship-based taxation. Unlike St. Kitts and Nevis, which is income tax-free, Dominica is only tax-free if you don’t live there. If you decide to set up a base in your new country of citizenship and live there for six months or more a year, they will tax your worldwide income (of course, subject to tax credits for any money you pay to tax treaty countries). So, if you plan to live in Dominica full-time, you’re going to have an issue. You’re going to be paying taxes. And Dominica’s income tax rates aren’t particularly low. In fact, at 35%, they are basically on par with the United States. However, there is no wealth, gift, inheritance, or capital gains tax in the country. Dominica also has double taxation treaties with the US and CARICOM, no restrictions on the repatriation of profits or imported capital, several corporate tax incentives, full exemption from import duties, as well as tax relief benefits and export allowance. They also have generous tax holidays and other import duty and tax waivers. Despite those benefits, the only country in the Caribbean that offers citizenship by investment and is truly tax-free is St. Kitts and Nevis. What people mean when they say Dominica is tax-free is that if you don’t live there, they’re not going to come after you the way the IRS does to tax you on the income you make overseas. However, now that Dominica is part of the CRS information sharing regime (as are most Caribbean countries), if you claim Dominica as your tax residence, that information will get back to them and they will be more than happy to treat you as a tax resident. There are a lot of things to keep in mind when it comes to incorporating Dominica into your international tax strategy. Most people aren’t going to become Dominican and then go live there, but to say that it’s totally tax-free is a bit disingenuous. As with most things, you should not base your entire second citizenship decision on a price point. Yes, Dominica is the best value option and relatively cheap compared to the $1 million asking price for Maltese citizenship, but there are other factors to consider. Reputation/Publicity: As mentioned, one of the benefits and drawbacks of being one of the oldest CBI programs in existence is that your program develops a reputation over time. While Dominica has a pretty strong track record, it has had its own scandal of sorts with a whole 60 Minutes piece about how some guy obtained a diplomatic passport from Dominica that caused some hullabaloo. I don’t see this as a serious issue. There’s always going to be a bit of negativity in this field and I don’t want to slander Dominica, but it’s worth noting. When a program has been around for a while, that means that people will know it in a good way and in a bad way. You have to decide if that is going to be an issue for you. Citizenship Rights: Other benefits that come with Dominica citizenship include the right to dual citizenship, the ability to vote and purchase property, as well as the possibility to live and work in Dominica. Dominica also maintains 17 embassies and consulate generals around the world, 14 of which are located in North America and Europe. The other three are located in Morocco, India, and China. Basic English Requirement: Dominica does require economic citizens to speak “basic English,” which is a pretty straightforward requirement. After all, you’re reading this. That said, if you are a citizen of Afghanistan, Iraq, North Korea, Pakistan, Russia, Sao Tome Principe, Saudi Arabia, Somalia, Sudan, Turkmenistan, Uzbekistan, or Yemen, you’ll be subject to special scrutiny. Passport Revocation: While you are technically granted non-revocable citizenship for life in exchange for your donation, Dominica law does give the government power to revoke passports. So far, there was one case in the early 2000s in which citizenship was revoked. Dominica is also upgrading to biometric passports, which means that they could easily cancel a passport from a distance in the future. External Influence: While the Caribbean CBI programs are relatively affordable, the downside is that many of these countries are still highly influenced by the western governments that most people are trying to get away from. The United States especially likes to go down to these islands and let them know that they can’t give passports to Iranians or any other country they’re suspicious of without dire consequences. This is one of the reasons Dominica requires so much paperwork from its CBI applicants. St. Kitts and Nevis, for instance, lost visa-free access to Canada in 2014 because they sold a passport to an Iranian. So, while the US and Canadian governments do not have the power to directly shut these programs down, they certainly have some influence over them. As small island countries, they can’t avoid a misstep, so they require paperwork — and lots of it. The final factor you have to take into account is the biggest. 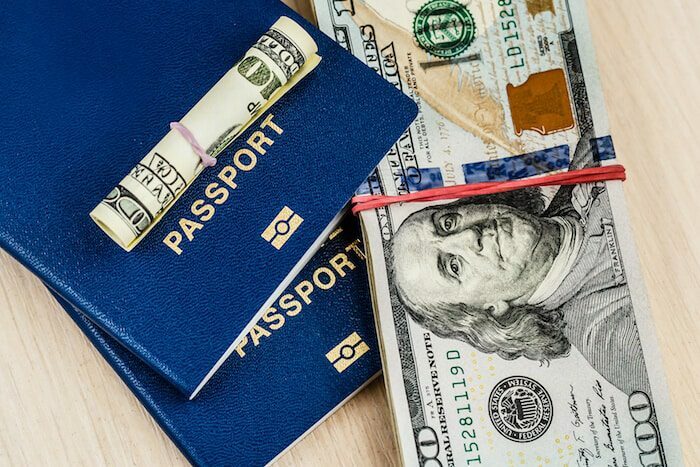 If you are looking to get economic citizenship, you have to ensure that you’re getting value for your money, and that means calculating the added travel privileges your new passport will give you. As of 2018, Dominican citizens have visa-free or visa on arrival access to 122 countries. This gives Dominica’s passport a ranking of 69 among all the passports in the world in our Nomad Passport Index. Some of the countries of greatest interest include the UK and Ireland (which a lot of Tier B passports do not give you), the Schengen area, Hong Kong, South Korea, several countries in Central and South America, some in the Balkans and Eastern Europe, several countries in Southeast Asia like Singapore and Malaysia, a number of African countries, and most British Commonwealth countries. The Central American countries of Panama, Belize, and Costa Rica are visa-free, but you will need a visa for Mexico, Honduras, Guatemala, and El Salvador. The same goes for the US and Canada. There are other travel privileges for Dominica citizens beyond visa-free travel. For example, as a citizen of a British Commonwealth, there are preferential regimes for students from Dominica that grant them the privilege to study in the UK. In addition, as a CARICOM country, you will have freedom of movement throughout the Caribbean to both live and work. However, any of the CBI programs in the Caribbean will give you the same benefits. So what advantage does Dominica have over a place like Saint Lucia that now has the same price point? Saint Lucia has visa-free access to 128 countries, 10 of which are different from Dominica: Argentina, Chile, El Salvador, Guatemala, Honduras, Kiribati, Senegal, Taiwan, Tunisia, and Zimbabwe. Conversely, Dominica has access to four countries that Saint Lucia does not have access to: Belarus, Brazil, Ukraine, and Uruguay. Brazil can be a major deciding factor for some people. If it is for you, that could affect your choice. Now that you have five different options in the Caribbean, comparisons like this are important to make. It is important to consider where you want to go and which country’s passport will get you there without the hassle of visas. Dominica citizenship will give you a relatively straightforward Tier B passport. There’s really nothing about it that is amazing in terms of getting you into countries that are incredibly difficult to enter. Other countries in the region offer passports that will give you visa-free access to places like South Africa, Thailand, Morocco, Russia, and China. One even offers access to the US through the E2 program. Dominica’s passport does get you into the UK as all Caribbean CBI programs do, which is valuable, but it is still a relatively basic passport. And, if you are looking to spend a lot of time in the Americas, I would look at other similarly priced programs because Dominica does not have that good of access to Central America and there is likely a better option. If you’re seeking a “budget passport”, Dominica is worth considering. It remains the world’s most affordable place to buy citizenship, with low government and legal fees and a great $100,000 price tag. But it is no longer the only game in town. In fact, while it is tied for first place as the cheapest passport for sale in the Caribbean, there are cheaper options for married couples. But picking a citizenship isn’t like selecting which speakers you’re going to buy off of Amazon, especially when you’re spending six-figure sums. You need to figure out which passport is best for you. Before you spend this kind of money, it’s always helpful to get someone’s advice who has gone through the process and who can give you honest advice about your situation depending on where you want to travel, where you want to live, where you want to do business, what your objectives are, what your other citizenships are, why you want the passport, etc. It’s always valuable to look at that whole picture and figure out how this is going to come into your equation. It is also important to realize that countries like Dominica are often placed on grey lists or even blacklists as tax and secrecy havens. Countries in the EU could use their political weight to pressure these countries to change by removing their visa-free access. This is just another reason to make your Caribbean passport part of a holistic passport portfolio and not your only passport. Whether you plan to use your Dominica passport to renounce your US citizenship or as part of a general tax strategy, there are numerous factors that you should take into consideration before you can really know if Dominica is the right passport for you. As always, it is worth getting a holistic review of your situation and the options available to you. If you would like help reviewing your personal situation, feel free to reach out.